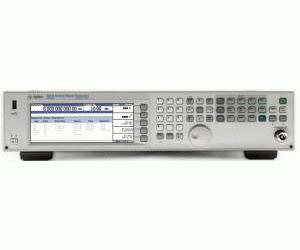 Selecting Option 503 equips the Agilent MXG analog to generate signals in a 250 kHz to 3 GHz frequency range. Option 503 is recommended for test cases that require CW and analog modulated RF test signals at or below 3 GHz carrier frequencies. Common signal generation uses include LO and clock substitution, interference generation, and reference signal generation for analog components and receivers.